Yaskawa Electric Corporation (head office: Kitakyushu, Fukuoka; Representative Director and President: Hiroshi Ogasawara) is pleased to announce that it begins sales on May 31, 2018 of its Matrix Converter U1000 with a built-in EMC filter. Various instruments are operated on a ship, including diesel generators, hydraulic pumps, compressors, winches, and cranes. 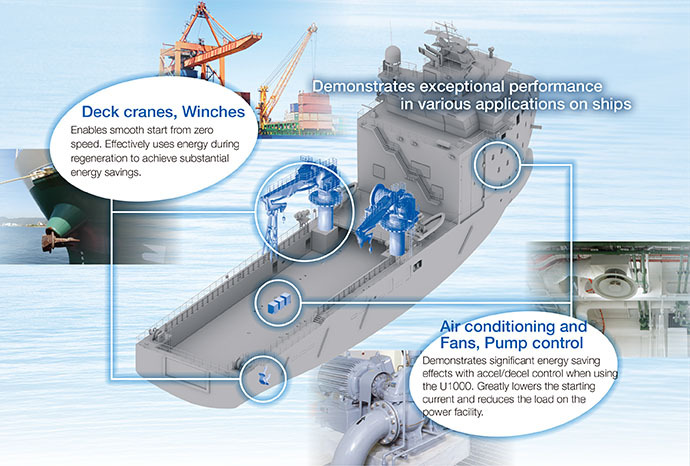 The use of AC drives aimed at saving energy has been gaining traction in recent years on the back of a global awareness of energy efficiency, and further uses of AC drives for ships are another area that is gaining people’s attention. But on the other hand, there is the issue of the need to add peripheral devices, which increases costs as well as the physical space required for their installation in a bid to counter the negative impact caused on diesel generators by harmonic currents due to the principles of AC drives. 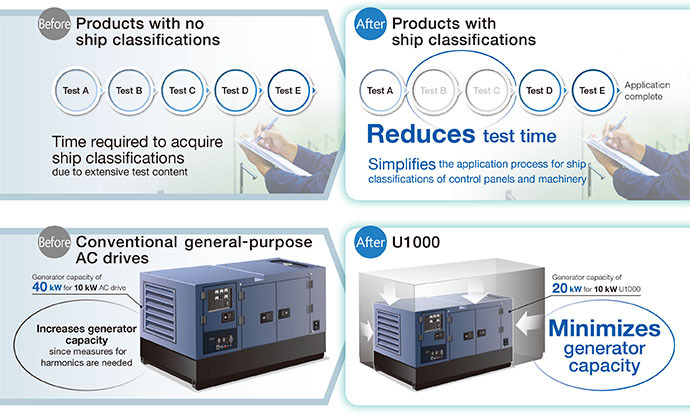 With such a backdrop, Yaskawa Electric has matched its Matrix Converter U1000 to different marine classification standards to offer on the market. As this product conforms to marine classification standards in various countries, evaluation tests required in the application process for marine classification standards can be shortened. (2) Own sized control consoles through harmonic suppression (K5=0). Sine waves are used as input power, which are mostly similar to commercial power supplies, to realize current distortion at less than 5 percent*1. This eliminates the need for peripheral devices such as power regeneration converters or harmonic filters for harmonic suppression, which makes it possible to use smaller control consoles. *1: Maximum output voltage will vary depending on the power output limitation mode. 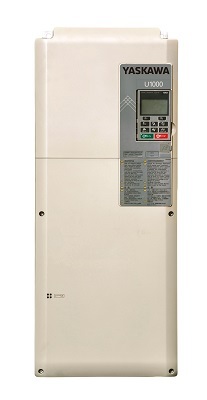 While overheating or vibrations may be incurred in power generators with general-purpose AC drives, creating the need for harmonic suppression or larger power generation capacity what is required for power source, the U1000 has low harmonic current, which makes it possible to control the power capacity of a generator that is necessary for motor operation and enables the efficient use of the capacities of existing generators. Deck cranes, winches, air conditioners and fans, pump control and so on.